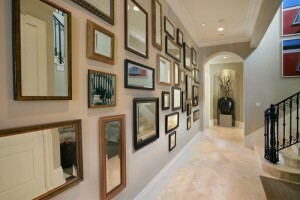 Framed mirrors are a great way to complete the design and overall look of a room or space. These often give a bit more character and in most cases, become great centerpieces or conversation starters. You can update the look of your room by changing the frames. 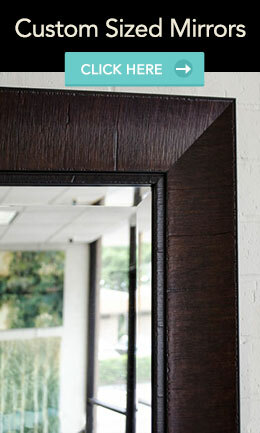 Just visit a mirror framing shop and check out their wide selection of frame samples. But if you are a bit pressed for time and you want to stick to your budget, you can get a mirror frame kit. 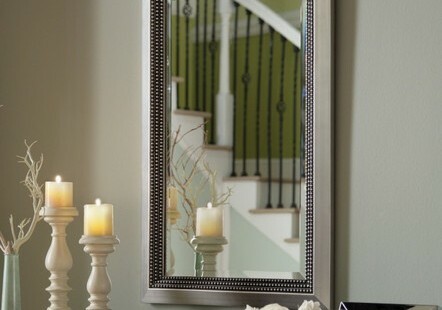 A mirror frame kit is an easy and inexpensive way to change the frame of your mirror. Now, you can easily add the frames at the comfort of your own home, eliminating the need to go to the mirror framing shop. Here is the best part: with mirror frame kits, you can change the frames without removing or uninstalling the mirrors from the wall. The frames are already pre-made, depending on the size that you need. These are available in different types of material including wood, metal, medium density fiberboard (MDF), and acrylic. Most frames are made of MDF, a material that is made of compressed wood fibers. The MDF frame is covered with a thin veneer material, resulting to a frame that looks like wood. The styles vary as well. Mirror frame kits make use of adhesives to put the pieces together in your existing mirror. Aside from the frames, the kit usually comes with these supplies: assembly glue, screws, bonding tape, as well as clips. Make sure you have a level and a screwdriver. If your kit comes with more than one frame, the pieces of one frame are properly labelled, so you will not be confused. All corners are labelled as well. Put some glue on the corner piece. Get your screwdriver and put the screw from the kit to the pre-drilled hole. Tighten the screw. This will simultaneously pull the corner joint together. Clean the mirror properly. The simplest way is by using water and a soft, lint-free cloth, then let it dry. This is to ensure that the bonding tape will stick to the mirror properly. Look for the adhesives on the frame. Remove the film backing from the bonding tape. There are metal hooks or temporary jigs on top of the frame or under its upper inside corners. Place them over the top of the mirror to hold it in place and ensure that it is on the right level. Press the frame firmly against the mirror. If you are into arts and crafts or you just like to do some of the home decorating stuff yourself and save money in the process, getting a mirror frame kit is the way to go. Take note, though, that the different kits may have different frame installation instructions. In general, these kits are easy enough to handle.